2018-19 NBA Preview: Who Will Be the Biggest Flop Team? The brief NBA offseason is over and basketball is back. Several big events happened over the short summer, however. LeBron James traveled westward, Jimmy Butler informed the Wolves that he wanted out and Kawhi Leonard moved north to join the Raptors. Of course, not every transaction will pan out. With that in mind, we set out to predict the team most likely to fall short of expectations. Is it LeBron’s Lakers? The Jimmy-less Lakers? The Crossover asked its staff to predict the 2018–19 season’s biggest “flop” team. 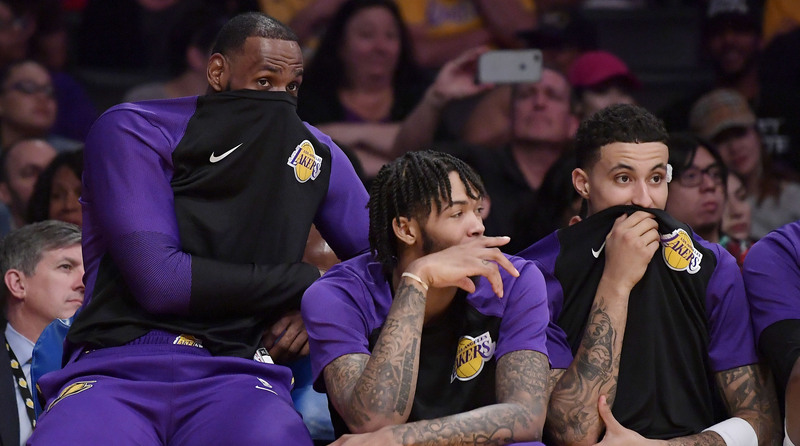 Technically speaking, it’s hard to predict Lakers disappointment when expectations are already all over the map. What’s the goal here? How are we measuring success? One attempt at a standard: excluding the lockout year, LeBron James has won 50 games in 11 of the past 12 seasons he’s played. That probably won’t happen this year. This Lakers team has no identity defensively, no credible big men, and an offense that will be a work in progress. Luke Walton has a rotation that goes 10-deep with players who are either unproven or proven to be unreliable. LeBron will have to be superhuman to make any of this work. Whenever he leaves the floor, things will get awfully dicey. There will be intervals when this Lakers smallball experiment looks phenomenal, but the lack of a non-JaVale big man is going to be a real problem. And while that could certainly be fixed with a mid-year trade, there’s one other concern that’s more abstract. If we accept that LeBron has to dominate to give this team a real chance, it’s worth nothing that over the past few years James has shown he’s at his best on teams that have the firepower to compete for a title. He was only half-engaged for long stretches of last season in Cleveland, and it ultimately prompted a massive overhaul at the trade deadline. While those Cavs trades didn’t really fix anything, they did succeed in one respect: the deals gave LeBron a reason to care again, and when LeBron is engaged, he’s still the best player on earth. The question, this year, is how long he’ll remain engaged with a Lakers team that’s not quite ready to reward that investment. The Wizards should be entering the season with dreams of a Finals run, now that LeBron James is no longer a conference roadblock and their two All-Star star guards—John Wall and Bradley Beal—are healthy and in the age-25 to age-28 prime window. They’ve made the playoffs in four of the last five seasons, they were one win away from the 2017 East finals, and their bench looks better on paper than it has in years, thanks to a smart trade for Austin Rivers and a discount deal to land Jeff Green. And after a sputtering loss to the Raptors in the first round of last year’s playoffs, the Wizards retain the chip that’s perpetually on their collective shoulders while avoiding the burden of significant expectations.